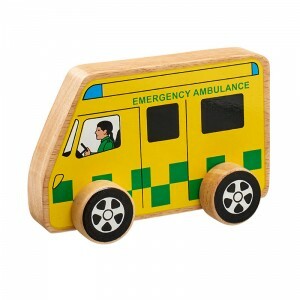 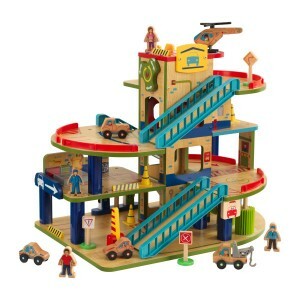 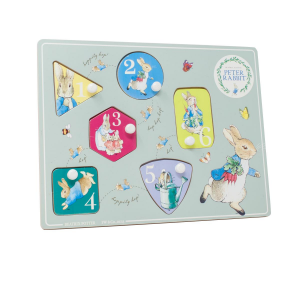 A very traditional looking and pretty peg puzzle that any child will love. 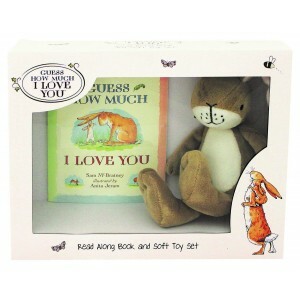 From the endearing Guess How Much I Love You picture book this beautiful wooden peg puzzle is an enchanting traditional puzzle that helps to develop key developmental skills. 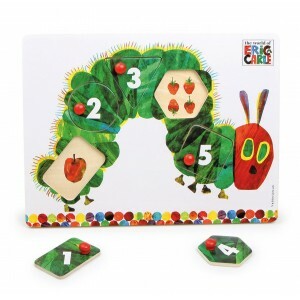 Whilst playing with this puzzle children learn to recognise colours, shapes and numbers which encourages concentration, pride in achievement and a desire to learn, boosting self confidence and cognitive learning. 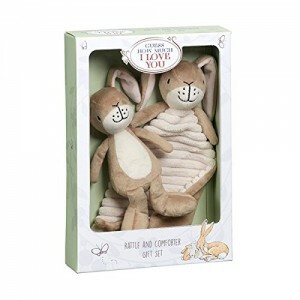 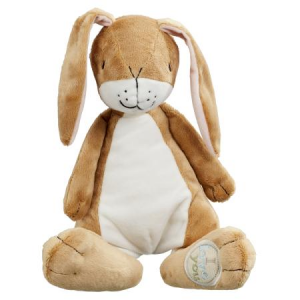 Also available in this beautiful nursery collection are Little Nutbrown Hare Bean Rattle, Little Nutbrown Hare Comfort Blanket, Nutbrown Hare Soft Toy and Lullaby Hare.